So, now that I've seen the 50th and the Christmas special, there are a lot of major changes that need to be done to the Doctor Who blog. Of course, those ramifications include the newest incarnation of the Doctor, and the revelations about the War Doctor and the Time War. Of course, the final episode of last season also added some information regarding the Doctor stealing the TARDIS. So lots of changes to be made over there that probably will happen in the summer time. However, the revelations of the past three episodes also helped support one of my theories. Gallifrey had been trapped in a pocket reality, and needed the Doctor to say his name so they knew which universe to return to. I had previously theorized that there was only one version of the Doctor for the Television Crossover Multiverse, and though he came from the Whoniverse, every appearance in the TVCU was the Whoniverse Doctor travelling between realities. Apparently, that's the idea for the show's official canon as well, thankfully. After all, if there were versions of the Doctor in other universes, then the thing of needing him to say his name to identify they found the right universe wouldn't make sense. So yay for another of my theories becoming canon! Here are some Lost Issues featuring Doctor Who! Not canon for the TVCU, but always fun! We discuss Doctor Who theories often over on Facebook. Join the Crew discussion. Oh, are you asking Doctor Who? Did I jump the gun? Well, Doctor Who was a science fiction program on the BBC that ran from 1963 to 1989. It was revived in 2005 and is still going strong. If you've never seen it, it airs here in America on BBC America. It's also available on Netflix and Hulu. The show has been going on for a very long time, and they have a neat trick that when the actor is done playing the role of the Doctor, the character (an alien Time Lord) regenerates into a new body, thus a new actor. His companions come and go often as well. Kind of like the cops and lawyers on Law & Order, but without Daleks. Doctor Who is extremely popular and has been around for 50 years, so you can imagine that there have been plenty of crossovers, especially in published works based on the series, and a few spin-offs. I have to say, when I was a kid, I didn't really care for the show. There were really bad effects, the aliens didn't look real, and it seemed like they were always just running through tunnels. And they were being chased by garbage cans, and had a pet robot dog. I had a friend in high school who tried to get me into it. I certainly found some of the concepts regarding Time Lords and the TARDIS to be interesting, but overall, it wasn't for me. So back around 2005, I started hearing from my online friends about Doctor Who. A lot. Finally, I decided to give it a chance and watched a marathon of the first few seasons of the new show on Netflix, and loved it. I loved it so much that I was willing to try Classic Who again, and I guess with age I learned to appreciate great story telling without a need for lots of action and special effects. So now I am a Whovian. Because Doctor Who takes place in a separate reality outside the TVCU, that means that some of the crossovers take place in the same Whoniverse, and others involve the Doctor visiting the TVCU (or another reality). Of course, the Whoniversre expands when we determine which crosses with Doctor Who are in the Whoniverse, and then look at those shows' other crosses, and then those shows' other crosses, ect. The Doctor Who blog covers not just Doctor Who, but the Whoniverse and all the shows placed in that reality. Unknown--BRISINGR--In another dimension, this tale of a boy names Eragon and his dragon takes place. In this third novel in the series, the Doctor is mentioned, and it's said that he can travel to other dimensions, supporting my own theories that I present in this blog. 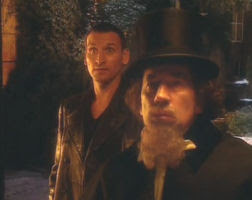 1844--CHRISTMAS CAROL: THE MOVIE--Doctor Who Universe--Not only does the same actor (Simon Callow) play Charles Dickens in both Doctor Who episodes "The Unquiet Dead" and "Wedding of River Song", but also plays him in Christmas Carol: The Movie. In fact, his dress, his beard, everything is the same. EVEN THE STAGE AND THE SPEECH HE GIVES TO INTRODUCE THE STORY IS THE SAME, EXCEPT IN THE MOVIE, THE STORY IS INTERRUPTED BRIEFLY BY A MOUSE RATHER THAN BY GHOSTS. I MEAN IT'S EXACTLY THE SAME!!! So though the main portion of the movie, which is animated, is fictional, the framing parts are in the Doctor Who Universe. Merry Christmas. Incidentally, the movie was made four years before the DW episode, which means the DW folks were apparently big fans of this film to not only get the same actor, but recreate the first scene exactly, props, costumes, scripts, and all, well, until the Doctor shows up and it all goes to Hell as usual. March to August 1905--DOCTOR OMEGA--Doctor Omega was a character created by Arnould Galopin, and it wasn't about the Doctor. But when Jean-Marc and Randy Lofficier adapted the book, they conflated him with the Doctor, something many, including myself, have decided to go with as official. (And considering how much of the work of the Lofficiers are in the TVCU, it's hard not to go with this.) But my theories stray a little bit from the mainstream. (Yes, Ivan, theories...) When the Doctor Who series begins, the Doctor is over 900 year old. We also know that he stole the TARDIS. My theory is that for many centuries, he was a fugitive, and managed to use the chamelion circuit (see the picture below). He then found the Rift between worlds, and decided the best way to avoid capture was to hang out for a century or two in the TVCU. Now in this particular adventure, the first published appearance of Doctor Omega, he and his companions travel to the Mars of several million years ago, and return with a Martian named Tiziraou. ARSENE LUPIN is mentioned. Doctor Omega also appears in LEAGUE OF EXTRAORDINARY GENTLEMEN VOLUME II along with Tiziraou. Dr. Caresco is mentioned, who is from THE NECESSARY EVIL. Note that in the book, it is towspeople that call him Doctor Omega, at which point he choices to maintain the name. Greg Glick has pointed out that the first Time Lord was named Omega, and the Doctor may have felt honored to be named thusly. Recently the idea has been presented, but with no solid confirmation, that H.G. 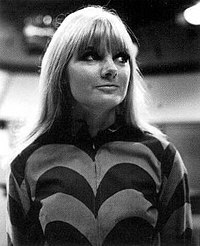 Wells' THE CHRONAL ARGONAUTS featured the First Doctor in the earliest part of his time in the TVCU, before he became known as Doctor Omega. 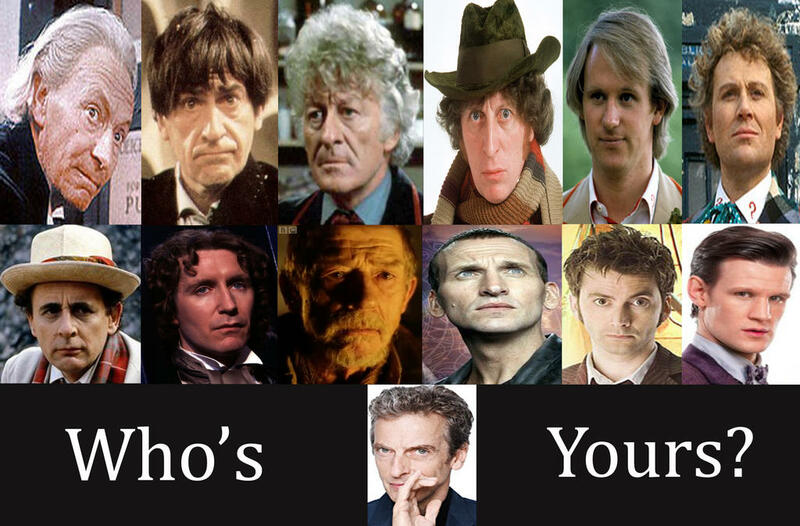 1963 to Present--The events of DOCTOR WHO. Actually, the series was cancelled in 1989, then revived in 2005. This is the story of a time traveler from the planet Galifry who fights evil with his companions. When the Doctor, as he is called, is killed, he regenerates into a new body, with a new personality, but all the memories of his previous incarnations. In addition to the television series (that actually ended than restarted years later), there are tons of books, a play, some movies, a cartoon, and comic magazines that are all canon. 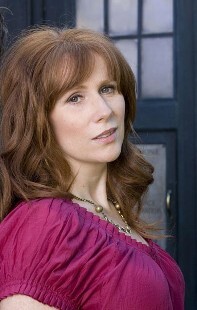 For an excellent complete Doctor Who timeline, see http://www.doctorwhochronology.com/homepageold/drwhoold/intro.htm. 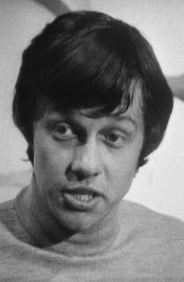 During the later years of his adventures, the Doctor was accompanied by his granddaughter Susan Foreman, Barbara Wright, Ian Chesterton, Vicki, Steven Taylor, Katarina, Sara Kingdom, Dodo Chaplet, Polly, and Ben Jackson. 1966--DOCTOR WHO--"The Tenth Planet"--The first Doctor dies and regenerates into the Second Doctor. 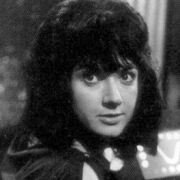 During this incarnation, the Doctor is accompanied on his adventures by Polly, Ben Jackson, Jamie McCrimmon, Victoria Waterfield, Zoe Herriot, and Brigadier Lethbridge-Stewart. 1970--DOCTOR WHO--"Spearhead From Space"--The second Doctor dies and regenerates into the third Doctor. 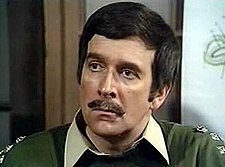 This Doctor was accompanied on his adventures by Liz Shaw, Jo Grant, Sarah Jane Smith, Brigadier Lethbridge-Stewart, Sergeant Benton, and Mike Yates. 1972 to 1985--ARE YOU BEING SERVED?--This quintessentially British sitcom is about Grace Brothers, a department store in London which is owned and kept traditional, almost pre-war (e.g. precise dress code for ladies frills and gentlemen's hats according to rank), by two brothers who look old enough to have fought in the Boer war but rarely appear, as most scenes play on one floor where Mr. Cuthbert Rumbold is the executive (meaning he enjoys an endless parade of foxy but stupid secretaries) in charge of management while his dignified floor walker, Captain Stephen Peacock, has daily charge over two small sales teams. The fat and bossy, implicitly man-hungry widow Mrs. Betty Slocombe supervises the attractive Miss Shirley Brahms (with a terribly common Cockney accent) -with first choice of customers, on commission- the sale of women's clothes and accessories; the sales star at the gentleman's side is Mr. Wilberforce Clayborne Humpries... Written by KGF Vissers on IMDB.com. See http://toobworld.blogspot.com/2011/03/cleary-theory-follow-up.html to learn how this fits into the Whoniverse. 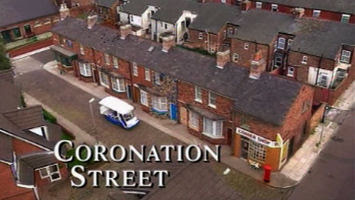 1972 to Present--EMMERDALE FARM--In because of a connection to CORONATION STREET. 1974--DOCTOR WHO--"Planet of the Spiders"--The third Doctor dies and regenerates into the fourth Doctor. 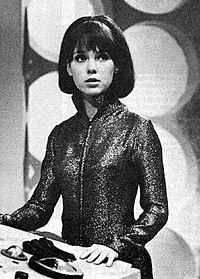 This incarnation of the Doctor was accompanied on his adventures by Sarah Jane Smith, Harry Sullivan, Leela, K-9 Mark I, K-9 Mark II, Romana, Adric, Nyssa, and Tegan Jovanka. 1975 to 1979--FAWLTY TOWERS--Inept and manic English hotel owner and manager, Basil Fawlty, isn't cut out for his job. He's intolerant, rude and paranoid. All hell frequently breaks loose as Basil tries to run the hotel, constantly under verbal (and sometime physical) attack from his unhelpful wife Sybil, and hindered by the incompetent, but easy target, Manuel; their Spanish waiter. Written by Rob Hartill on IMDB.com. See http://toobworld.blogspot.com/2011/03/cleary-theory-follow-up.html to learn how this fits into the Whoniverse. 1981--DOCTOR WHO--"Logopolis"--The fourth Doctor dies and regenerates into the fifth Doctor. He is accompanied on his adventures during this time by Adric, Nyssa, Tegan Jovanka, Vislor Turlough, Kamelion, and Peri Brown. 1981--K-9 AND COMPANY--Spin-off from "Doctor Who" which, despite good ratings, didn't get past the pilot stage. 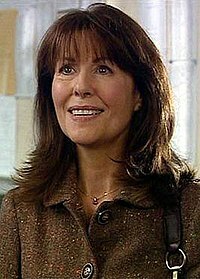 One time companion to a mysterious and body-changing alien known as "The Doctor", Sarah Jane Smith returns to Earth and carries on with her journalist career. Now, in 1981, she has managed to rebuild her career and has come, a matter of days before Christmas, to her Aunt Lavinia's (a famous scientist) house in the sleepy English village of Moreton Harwood to write a book and to rest after her world-travelling assignments. However, her journalist's nose sniffs out another mystery when she arrives to find Aunt Lavinia gone, and nobody knows where she is, but the local rumour is that she was the victim of a local witch coven. Worshipers of a pagan goddess Hecate gather to celebrate a festival by ritually murdering a friend of Sarah's. She needs help... and she gets it from a box from her friend "The Doctor."... Written by Lee Horton <Leeh@tcp.co.uk> on IMDB.com. 1984--DOCTOR WHO--"The Caves of Androzani"--The fifth Doctor Dies and regenerates into the sixth Doctor. This Doctor is accompanied by Peri Brown and Melanie Bush. 1985 to Present--EASTENDERS--A Doctor Who/Eastenders crossover aired on BBC as part of their fundraising event. 1987--DOCTOR WHO--"Time and the Rani"--The sixth Doctor dies and regenerates into the seventh Doctor. This Doctor is accompanied by Melanie Bush and Ace. 1993--ICON--From Salvatore Cucinotta: Just found an odd crossover with Doctor Who of all things. The Milestone comic series "Icon" is probably best known for its label as the "Black Superman", but it's a lot mroe than that, writer Dwayne McDuffie made it that way. Good stuff. I've finally had a chance to read it, and in issue #26, Icon returns to earth after testifying on behalf of earth, to battle the alien death-obsessed psychopath calling itself "Oblivion". He arrives on earth thanks to a "Transmat", a teleportation technology that first appeared in "Doctor Who", though here, it's a company. Looks like a pretty legitimate crossover to me, as much as any crossover with "Doctor Who" is. Here, specifically, Transmat is referred to as a company ("Thank you for traveling Transmat", but it can easily be thought of as a brand name that overtook the market (IE: Bandaids vs. Adhesive Medical Strips). 1995--DOWNTIME--Retired commander of the United Nations' Intelligence Taskforce, and long-time associate of the mysterious time traveler the Doctor, Brigadier Alistair Lethbridge-Stewart faces the toughest battle of his military career when he is embroiled in a plot unwittingly set in motion by university chancellor Victoria Waterfield, herself a former companion of the Doctor, to take over the Earth by an evil alien entity called the Great Intelligence, aided by its ferocious robot Yeti cohorts. Can the Brigadier defeat this menace to the Earth without the Doctor's help? Written by Anonymous on IMDB.com. 1996--DOCTOR WHO--The seventh Doctor dies and regenerates into the eighth Doctor. This Doctor is accompanied by Grace Holloway. December 2004--UNIT: TIME HEALS--The CTU (from 24) is mentioned. The problem with this is that unlike the Doctor crossing with the TVCU, which I can chalk up to interdimensional travel, I can't do that with UNIT. 24 is clearly in the TVCU (despite the "presidential problem". However, though I hate to use the concept of a show taking place in multiple realities, in this case, perhaps we can assume that 24 does indeed take place in both realities, and in the Whoniverse, the events regarding the "presidential problem" are more accurate. 2005--DOCTOR WHO--"The Day of the Doctor"--The Eighth Doctor dies and regenerates into the War Doctor. This Doctor is accompanied by the conscience of a doomsday device that takes the form of Rose Tyler, the Bad Wolf. Technically, this occurred during an unknown time at the end of the Time War, and the episode aired in 2013, but this chronology places the regenerations in a chronological order and in relation to airdates rather than in the time period, because that would be confusing. 2005--DOCTOR WHO--"Rose"--The War Doctor dies and regenerates into the ninth Doctor. This Doctor's companions were Rose Tyler, Adam Mitchell, and Jack Harkness. (The regeneration actually happened in flashback in the 2013 "The Day of the Doctor". However, this was the first appearance of the ninth Doctor. 2005--HITCHHIKER'S GUIDE TO THE GALAXY--The 2005 film version of this story is in. Visit http://poobala.com/doctorandhitchhikers.html to learn more about why. 2006 to Present--TORCHWOOD--Captain Jack Harkness, the former Time Agent and con man from the 51st century last seen traveling with the Doctor, ventures to early 21st century Cardiff. There, he becomes a member of Torchwood Institute, a renegade criminal investigation group founded by Queen Victoria to battle hostile extraterrestrial and supernatural threats.Written by rmlohner on IMDB.com. 2007 to Present--THE SARAH JANE ADVENTURES--Investigative journalist Sarah Jane Smith and her 13-year-old neighbor Maria form an alliance to combat evil alien forces. IMDB.com. Note that Sarah Jane's uncle is famed archaologist Indiana Smith, likely the counterpart in this reality to INDIANA JONES. If so, then the Indiana Jones films (five of them) in the Whoniverse may be inspired by Indiana Smith's exploits. 2009--IRIS WILDTHYME AND THE CELESTIAL OMNIBUS--Iris Wildthyme, a character who originates in the Doctor Who Universe, travels to the TVCU for further adventure where she meets El Santo, now calling himself Senor 105. 2009 to Present--K9--New adventures of the very powerful robot dog. For more on K-9, see his entry at the TARDIS Wiki. 2010--DOCTOR WHO--"The End of Time"--The tenth Doctor Dies and regenerates into the eleventh Doctor. This Doctor's Companions are Amy Pond, Rory Williams, River Song, Craig Owens, and Clara Oswald. in the space bar scene, one of the aliens recites the same alien words that can be heard by an alien in the bar on Mos Eisley in Star Wars. Apparently common bar talk for whatever language that is amongst scoundrels. I believe Star Wars to be in the TVCU, but if Earth and its species exist in many realities, I'm sure other worlds and their species should too. Or else, maybe Star Wars was in the Whoniverse. All the interactions between Star Wars and the rest of the TVCU always involved wormholes through time and space (i.e. Rifts). 2012--SIGHTSEERS--We see the iconic TARDIS at the Crich Tramway Museum. December 25, 2013--The eleventh Doctor dies and regenerates into the twelfth Doctor. This Doctor's companions include (so far) Clara Oswald. Technically, counting the War Doctor and the misfired regeneration of the 10th, this is the 14th incarnation, when Time Lords only have 13. This historic record breaking extra regeneration was due to the assistance of the Time Lords. Will that mean he will get more regenerations? I guess that depends on ratings. 2018--IRON SKY--A tiny TARDIS can be spotted among the spaceships when the Earth fleet is introduced. Possibly the 23rd Century--BLAKE'S 7--Chris Boucher's novel Corpse Marker, a sequel to The Robots of Death, features the psychostrategist Carnell, a character who had first appeared in the Blake's 7 episode Weapon. The novel indicates that he settled onKaldor two years after he first went on the run from the Federation, which would have followed his failure inWeapon. 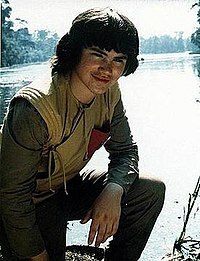 The character appeared again in the Kaldor City series of audios. Note that because the Federation is evil in this series, that Blake's 7 may exist in the Mirror Universe (which the Doctor calls Pete's World.) However, the Federation of the Mirror Universe is actually the Earth Empire, so it could be that in the Whoniverse, the Federation isn't so nice as in the TVCU. 3,002,182--RED DWARF--"Thanks for the Memory"--The TARDIS appears in this episode. 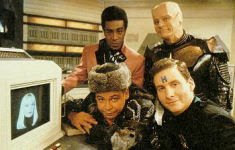 See http://www.fortunecity.com/underworld/f22/161/timeline.html for a Red Dwarf timeline. 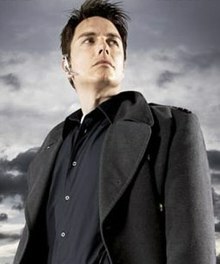 The character of Captain Jack Harkness first appeared in Doctor Who near the end of the 2005 series. At its finale, he was left behind by the Doctor, and was next seen in 2006 starring in his own spinoff, Torchwood. Torchwood ended its first series with Jack running away to rejoin the Doctor, which occurred near the end of Doctor Who's 2007 series in the three-part finale, after which Jack headed back to his team for Torchwood's second series. Doctor Who also crossed over with EastEnders in the 1993 special "Dimensions in Time". Later developments in both shows would retcon them as having a Reciprocal Fiction Paradox. In the episode, Army of Ghosts, Peggy Mitchell was seen in a fictionalized scene from EastEnders in order to demonstrate the degree to which the titular ghosts had permeated the popular culture of Doctor Who's Britain. Here, too, time constraints caused the satire of the guest programme (EastEnders) and not the host programme (Doctor Who). The Doctor Who story The Stolen Earth and Journeys End feature characters from both of its spin-off series Torchwood and The Sarah Jane Adventures. In the TVCU, Doctor Omega is the Doctor, during the time after he left Galifrey with the stolen TARDIS, but prior to the first episode of Doctor Who, in a point where he is a renegade Time Lord, thus hiding from the Time Lords by having adventures is a different universe, the TVCU. You know who else likes Doctor Who a lot, and included the series in his shared reality? Toby O'Brien. Check out Doctor Who in Toobworld. And check out Thom Holbrook's Poobala comments on the cross between Doctor Who and Hitchhiker's Guide to the Galaxy. Here are some of the more recent posts regarding Doctor Who in the TVCU discussion forum. I was going to write up a blog post in which the great intelligence from "Doctor who" was in fact a rogue splinter group from the Q continuum of "Star Trek". However, my research shows that the Who novels claim the Great Intelligence is actually Yog-Sothoth. I like that idea better. Bonus. Here are three Doctor Who related entries from my upcoming book, the Horror Crossover Universe! HCU Comments: Though the story seems to imply the invasion was successful, obviously it was thwarted or else the Horror Crossover Universe would have turned out much differently. And in fact, in the Katrina Protocol (aka Voodoo Twilight), it’s revealed the Shop (the secret government agency from Stephen King books) sent in Ohisver van Helsing to take care of the situation. The Body Snatchers will invade again, as other crossovers will bring in the 1970s remake. This novel marks the first appearance of Santa Mira, California, a fictional town that will reappear in Halloween III: The Season of the Witch, Phantoms, Memoirs of an Invisible Man, The Dark Tower, Scream of the Banshee, the first Invasion of the Body Snatchers film adaption, Airwolf, A Friend to Die For, Ben 10, and Doctor Who: The New Adventures. In separate stories, the Doctor, Nathaniel Cade, and one of the van Helsing family have all been said to have been involved in these events behind the scenes. The Story: Shaggy, Scooby, and Scrappy takes jobs as coaches at an all-girls school, that turns out to be an all-girl monsters school. HCU Comments: Each Scooby series is taken separately for inclusion. The crosses with Godzilla and the Creature from the Black Lagoon bring in not only the 80s Scooby movies, but also the Hanna-Barbera versions of Dracula and Frankenstein. If this film were set in the time it aired, 1988, Shaggy would be in his late 30s by this point and Scooby and Scrappy would be fairly old, especially for dogs. (And with Scrappy still claiming to be a puppy.) Either the trio are immortal, or this story actually takes place in the 1970s, at a point where Shaggy is still in his early to mid 20s. As for explaining Scooby and Scrappy, there are a couple of stories referenced in this guide in which talking cartoon animals are explained as expiriments of Doctor Moreau or his family. This could be a possible explanation for Scooby and Scrappy’s intellegence and speech, but still does not explain why people aren’t surprised when they encounter talking animals. I could blame it on Sunnydale-itus, the phenomenon where rational people tend to dismiss anything out of the ordinary, but this solution still leaves me slightly unsatisfied. The Dracula and Frankenstein Monster here are the Hanna-Barbera versions, likely another soul clone and copycat creation, respectively. Their daughters are on the school’s volleyball team. At the end of the film, two new students are females from the same species as both the Gill-Man (Creature from the Black Lagoon) and Godzilla. Note that there must be more than one of the Gill-Man species, and in fact, there are in-story references that state that the Gill-Man is the same as the Deep Ones of Innsmouth and the Silurians from Doctor Who. As for Godzilla, it would seem that there is also more than one of this species. In fact, in the classic series of films, it’s stated that the Godzilla from the original film was destroyed, and the one from the rest of the films was a second one. HCU Comments: The aliens of the story, which Spengler references as ghosts, are called the Gwanzulum. They have appeared in several titles of the Marvel UK line. In Doctor Who Magazine, they are shape shifting, mind reading aliens. Unfortunately I could only identify the above listed crossovers, but there are several sources that say they have appeared in more titles, but don’t mention which ones.